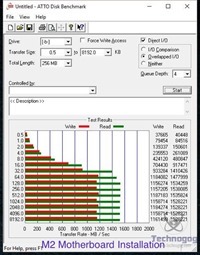 One of the best ways to speed up one’s PC is by adding a Solid State Drive (SSD). 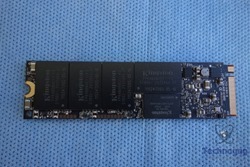 While the most common SSDs on the market are the SATA connector type, like Yoda said in Empire Strikes Back – “there is another”. 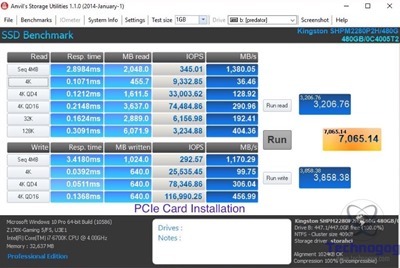 The faster PCIe controller is used with some SSD brands and they produce some incredible speeds. 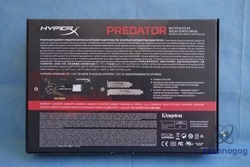 Kingston’s HyperX brand is their performance line of products and today’s review item definitely does perform. 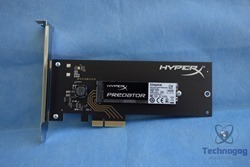 Today we will be looking at the HyperX Predator PCIe SSD. 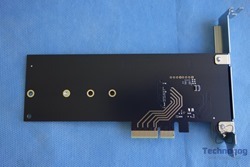 This is an M.2 form factor SSD that comes with an optional Half-Height, Half-Length adapter for use on motherboards without native M.2 PCIe slot. 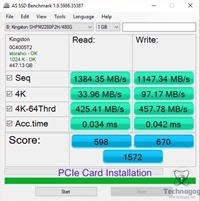 This SSD blows away SATA based SSDs in terms of performance with speeds up to 1400MB/s read and 1000MB/s write which are almost double and triple what the higher end 2.5” SSDs are capable of running. 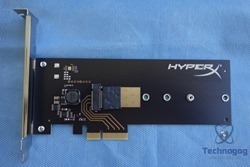 If you are looking to supercharge your PC then the HyperX Predator PCIe SSD is definitely the way to go. It is available in 240GB, 480GB and 960GB capacities. 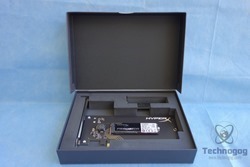 The HyperX Predator PCIe SSD arrives in a cardboard box with an image of the SSD resting on its half height half length (HHHL) adapter. 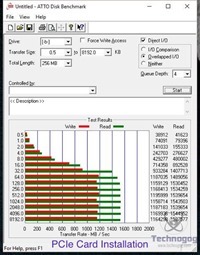 The drive’s capacity and speed are listed on the top right corner. 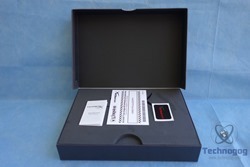 On the back is a list of features and box contents. Opening the box we discover a foam holder protecting the box’s contents that include the M.2 SSD, an HHHL adapter with standard and low profile brackets, hard drive cloning coupon code, a HyperX sticker and a Getting Started booklet. 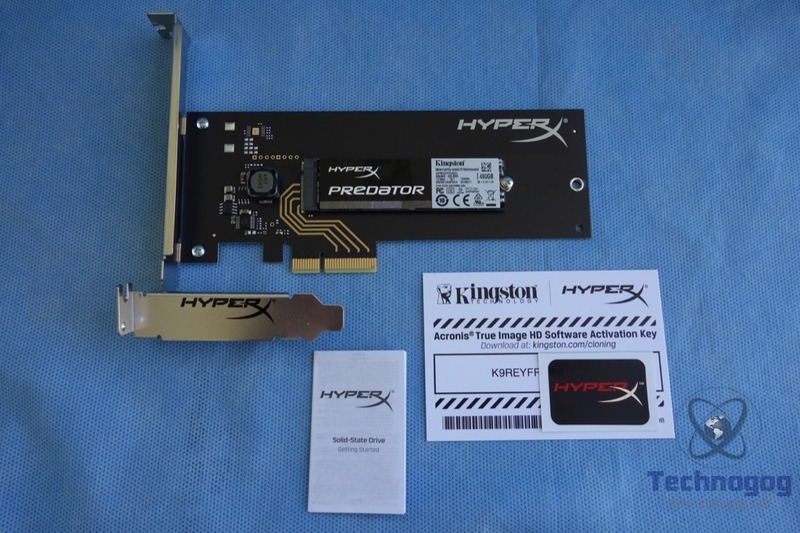 Kingston sells the HyperX Predator PCIe SSD with the PCIe adapter bracket as a kit or as a stand alone M.2 SSD drive. 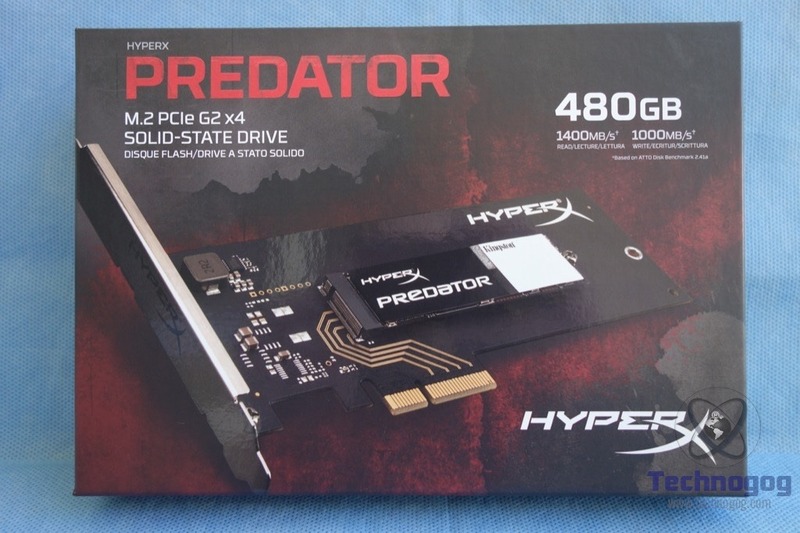 For today’s review we will be looking at the 480 GB kit model. 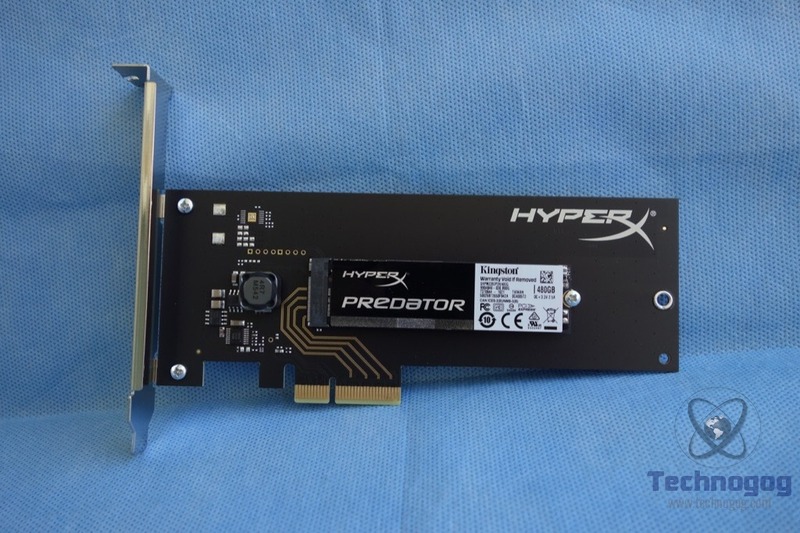 Out of the box the HyperX Predator PCIe SSD is pre-mounted on the HHHL adapter and is held in place using a single Philips screw. 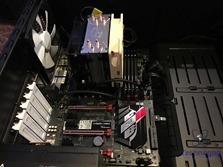 Two screws adjacent to the bracket allow the user to switch to the low bracket if using the drive in a smaller form factor case. 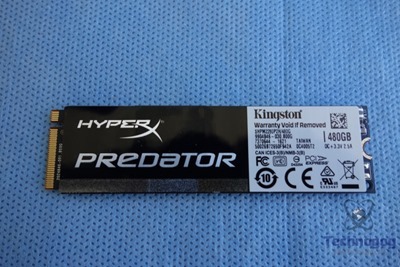 Removing the HyperX Predator PCIe SSD from the adapter we find an SSD that looks a stick or RAM with the Predator logo prominently seen on the left and the drive info/data on the right. 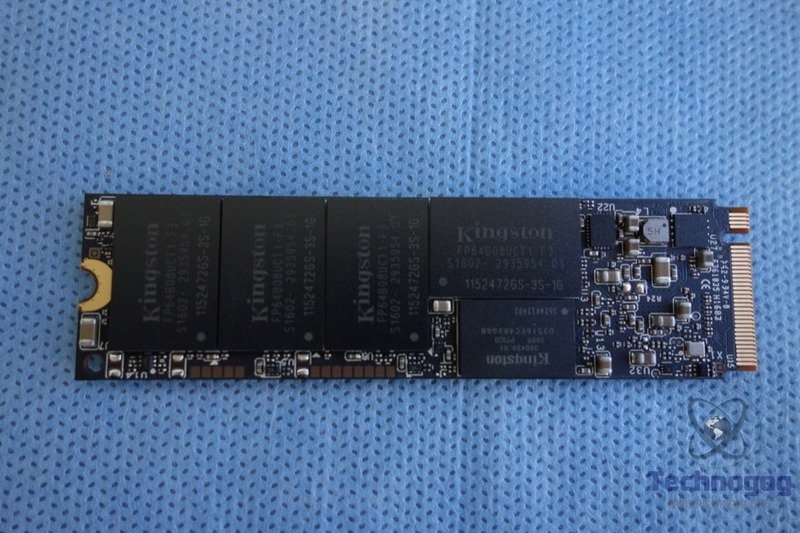 On the backside are four Kingston branded Toshiba 15nm MLC NANDs along with a Marvell Altaplus controller (88SS9293). 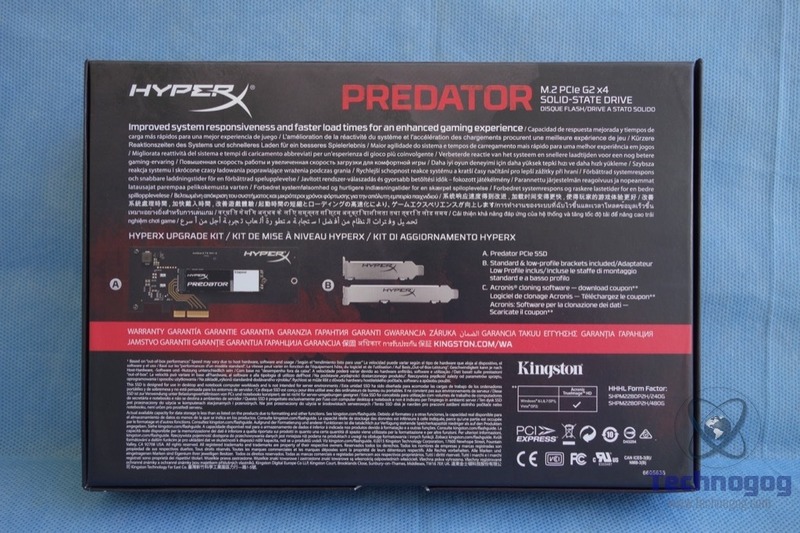 The Kingston HyperX Predator is designed to use the PCIe 2.0 interface and can be used in a laptop or desktop PC. HyperX Predator PCIe SSD offers large capacities and incredible speeds with both compressible and incompressible data to take your system to the edge. Faster than SATA-based SSDs, it’s powered by a Marvell controller and delivers speeds up to 1400MB/s read and 1000MB/s write for ultra-responsive multitasking and an overall faster system, and it’s available in 240GB–960GB capacities. HyperX Predator PCIe SSD delivers top-of-the-line performance to match high-performance HyperX memory and keep you at the top of your game. 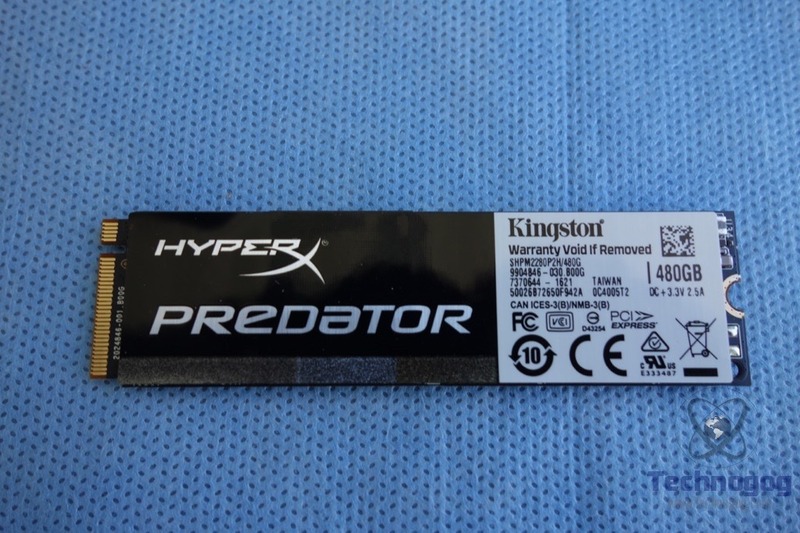 HyperX Predator SSD offers large capacities and incredible speeds with both compressible and incompressible data to take your system to the edge. 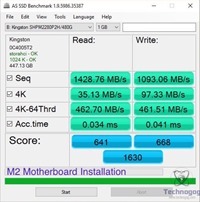 Faster than SATA-based SSDs, it delivers speeds up to 1400MB/s read and 1000MB/s write for ultra-responsive multitasking and an overall faster system. 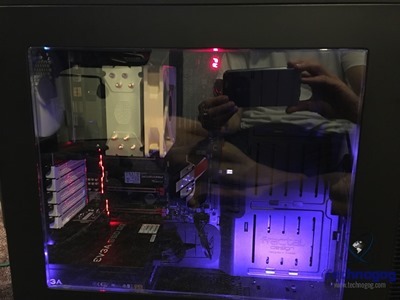 It features a PCIe Gen 2.0 x4 interface for high performance and an M.2 form factor to fit the next generation of desktops with an M.2 PCIe slot. A Half-Height, Half-Length (HHHL) adapter that works with many existing motherboards with at least a PCIe x4 slot open is available. The HHHL adapter comes with both standard and low-profile brackets to fit in slim profile desktop builds. Installation is straightforward. 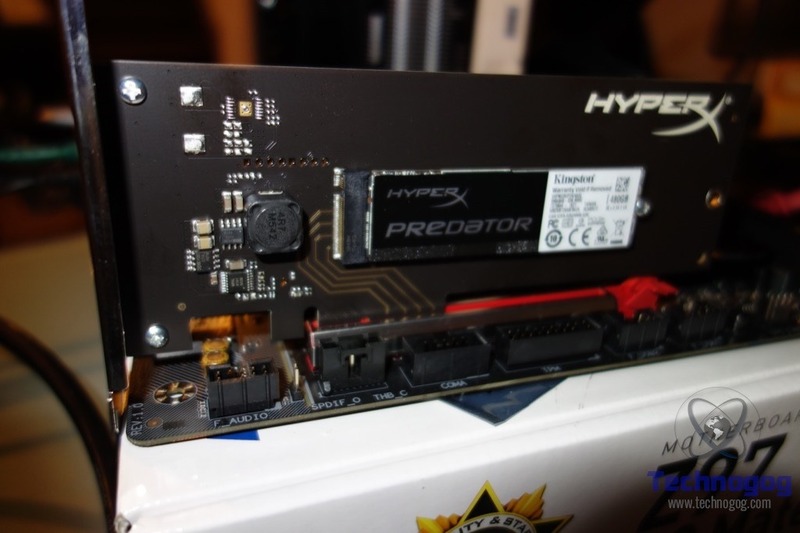 If using the HHHL adapter, mount the HyperX Predator PCIe SSD like you would any PCI card by plugging it into the motherboard and then screwing it down to the case via the bracket. 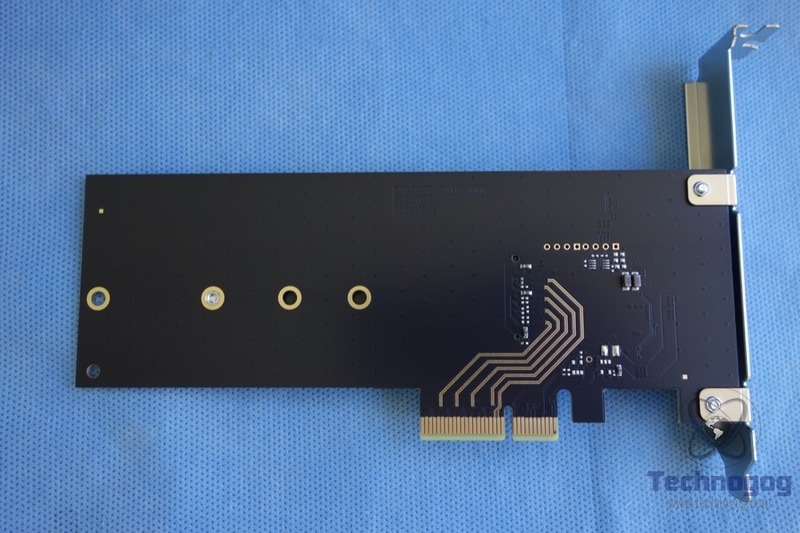 If using the HyperX Predator PCIe SSD without the adapter, insert the edge of the stick into the M.2 interface and then lock it down with the included screw. For comparison the following drives were involved in the testing. Benchmarking was performed using ATTO Disk Benchmark, Anvil Storage Utilities, AS-SSD and Crystal Disk Mark. 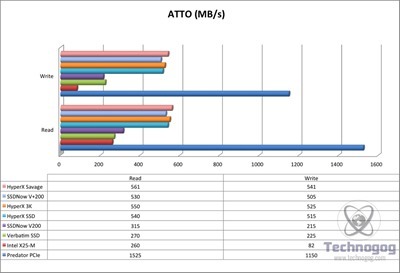 ATTO Disk Benchmark tests both the read/write speeds of the drives. The first is a comparison of the PCIe vs M.2 installations which are pretty much equal. 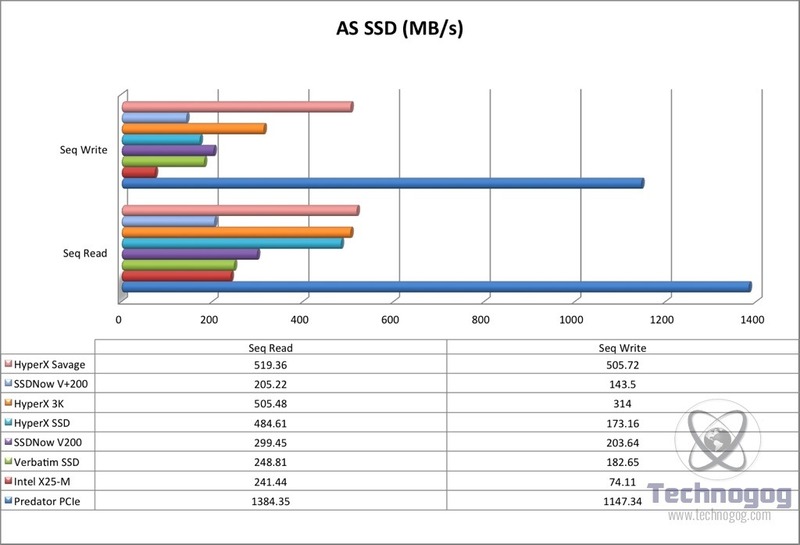 While in contrast to the SATA SSDs the HyperX Predator PCIe SSD triples performance against the fast SATA SSD. Another excellent benchmark for SSDs is the Anvil Storage Utility. Once again we see similar results. Finally here are the AS-SSD and Crystal Disk Mark results. 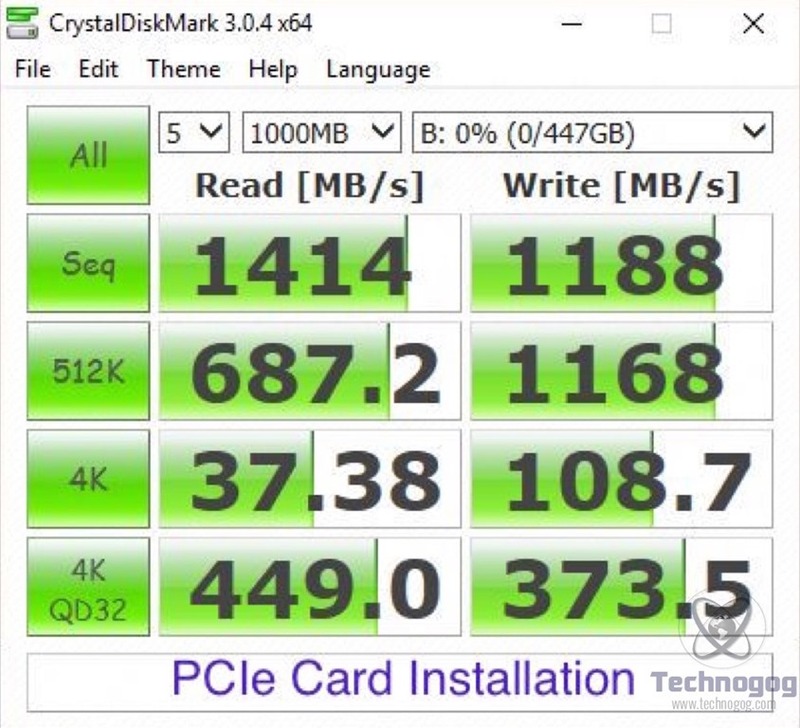 Based on these various benchmarks it is apparent that the HyperX Predator PCIe SSD offers 2-3x speeds gains over the SATA SSDs which will definitely speed up your system. 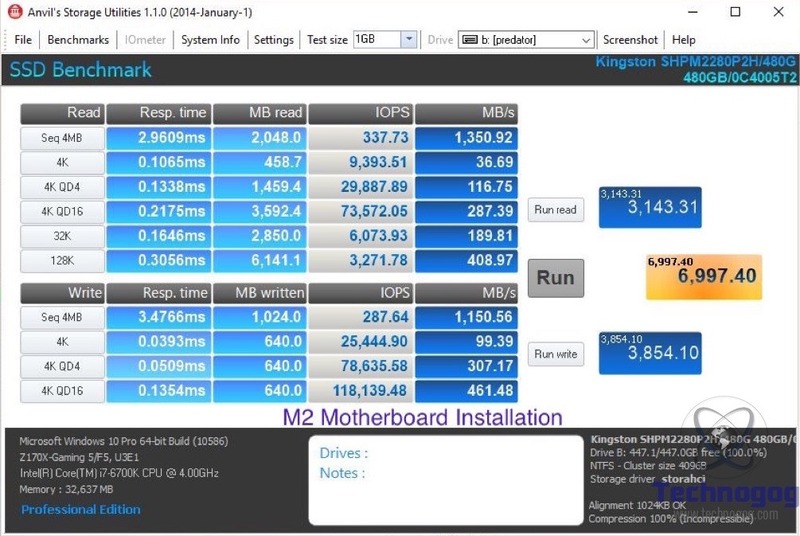 Cloning a Windows system using Acronis True Image HD was simple once the software was downloaded, registered and installed on the PC. 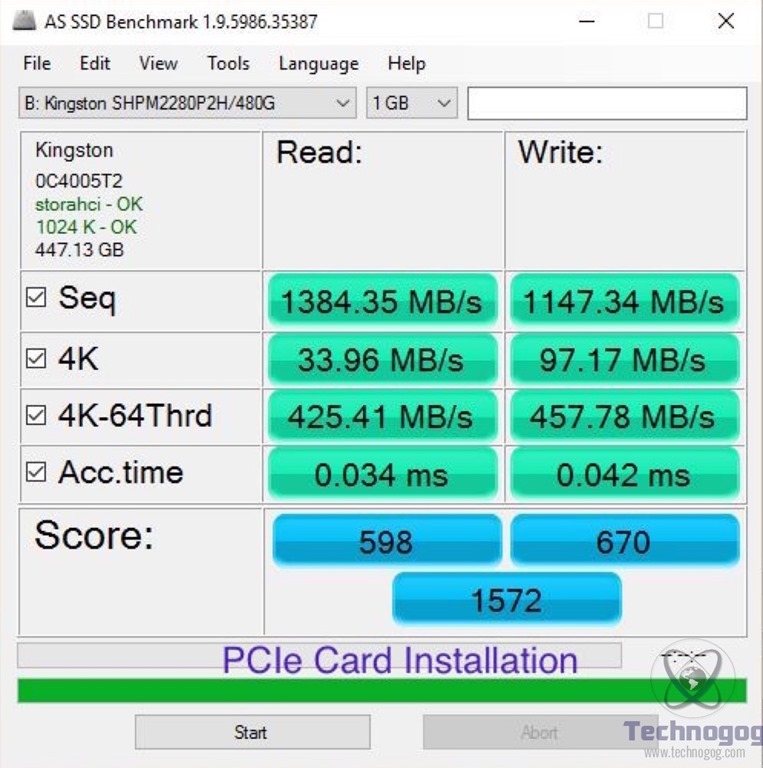 Benchmarks are great but how does the HyperX Predator PCIe SSD perform in real world settings? 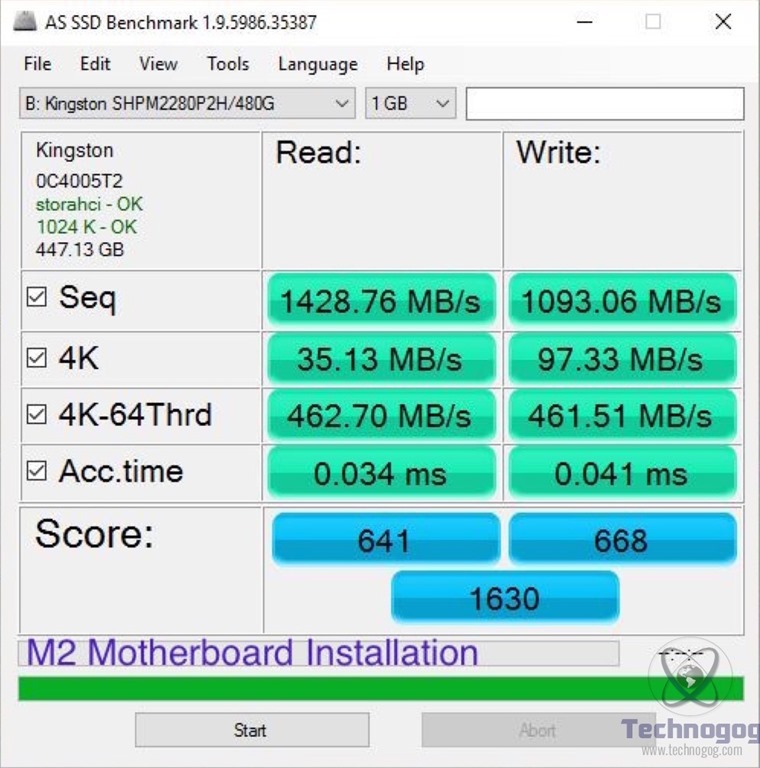 Using the SSD as the boot drive for a Windows 7 system was remarkable as my machine was up and running in less than ten seconds from hitting the power up. This is certainly a dramatic improvement from my Windows 95 days of 2-3 minutes to a functional desktop. 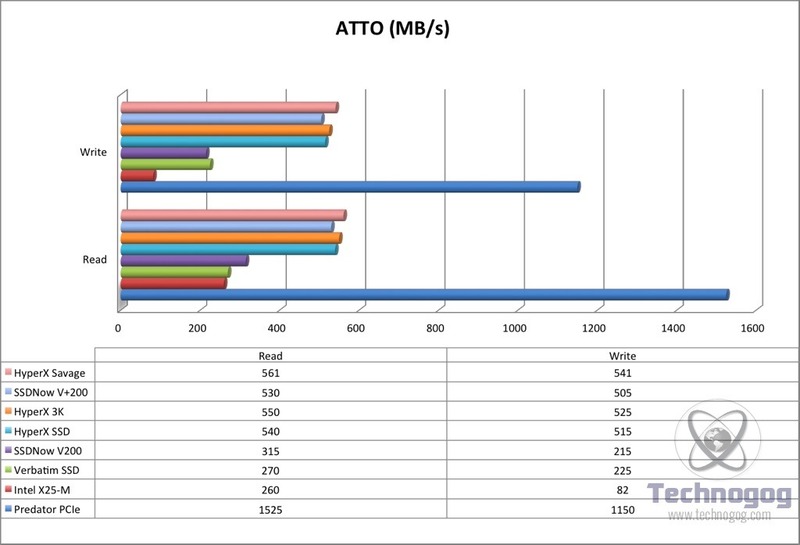 Applications loaded significantly faster when compared to standard hard drives. 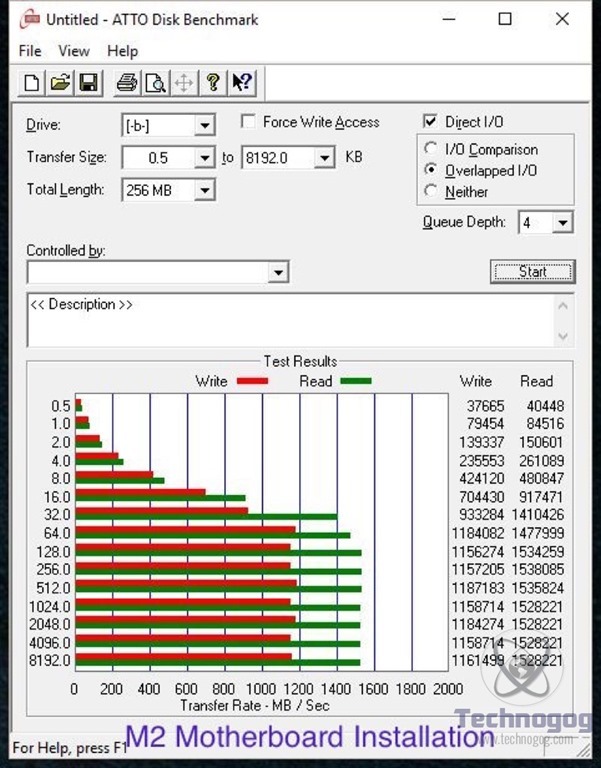 From my testing there was no drawback to using the HyperX Predator PCIe SSD. 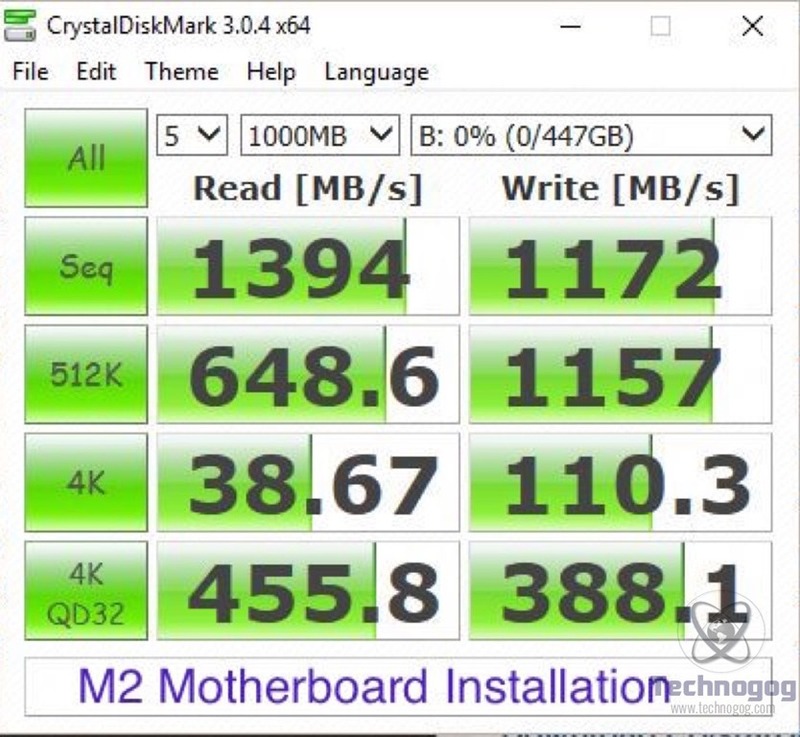 I ended up keeping this SSD in my M.2 slot as it kept the inside of my PC cleaner and provided better airflow than if resting on the PCIe adapter. 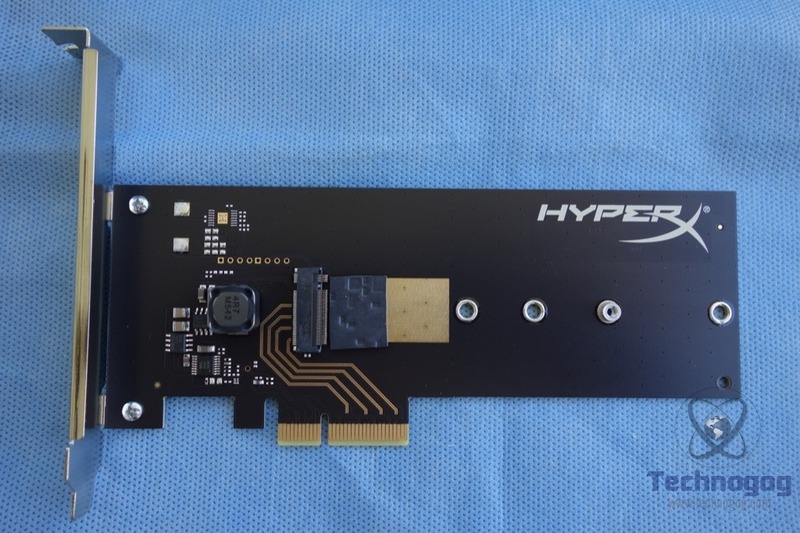 If you are looking to dramatically speed up your PC desktop or laptop then the HyperX Predator PCIe SSD is an ideal way to go. 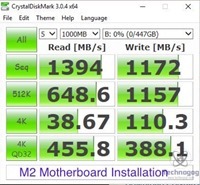 It is magnitudes faster than SATA based SSD options currently on the market. By taking advantage of the faster PCIe interface faster signaling and multiple lanes this drive offer speeds 2-3x faster than the fastest SATA SSD. Installation is simple and the included Acronis Cloning software makes migrating from your previous Windows system onto the Predator a painless process. Kingston includes a three year warranty which is pretty standard for SSDs. 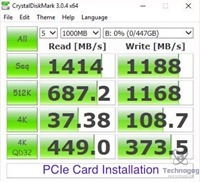 Right now the only drawback to the HyperX Predator PCIe SSD is the price compared to similar capacity SATA SSDs. 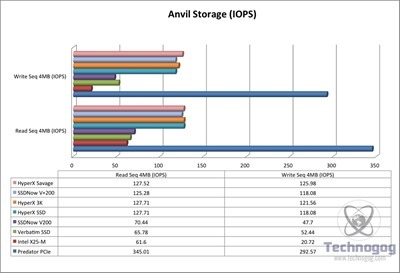 You will end up pay 40-50% more for a similar capacity drive. This may be a deal breaker for some but for those who want the fastest SSD available then the HyperX Predator PCIe SSD is the ideal choice.